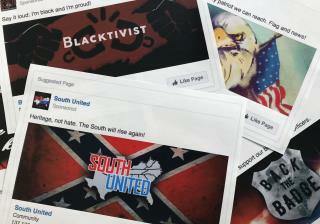 (Newser) – The worst spreaders of fake news across Facebook aren't the young'uns you'd expect to be glued to social media. Facebook users older than 65 share the most—almost seven times as many bogus articles as those ages 18 to 29, according to research by NYU and Princeton. The study, involving more than 1,000 Facebook users who voluntarily shared profile data and posts around the time of the 2016 US election, found the sharing of fake news to be relatively uncommon, as just 8.5% of participants were guilty of the practice, per the AP and the Verge. Some 18% of Republicans shared at least one link from 21 established fake news sites, compared to 3.5% of Democrats. However, researchers point out conservative users might've been exposed to more misinformation given the role of fake news in promoting Trump's 2016 candidacy. Demographics are immaterial, it's FB allowing fake news on the first place which has become SOP for all national media. Not really surprising but it's interesting to see the numbers. Old people causing problems? What a big funking NOT a shock.